The year 2014 is nearing the end of its run. There’s plenty of time left for big stories, but clearly the death of Marion Barry would rank at the top of any local list we have now. The other big — and unfinished — news of 2014 is the ongoing investigation into corruption in Mayor Vincent Gray’s 2010 campaign. Money-man Jeffrey Thompson pleaded guilty last March to financing a nearly $700,000 illegal campaign for Gray. His guilty plea pretty well put the final nail in any hopes that Gray would win his re-election bid. We’re still waiting to see whether Gray himself will face any charges before or after he leaves office Jan. 2. Gray has denied any wrongdoing. Yet many people find it hard to believe that the mayor, a stickler for details, was oblivious to the illegal effort, which worked hand in hand with the official operation — sometimes in a room adjacent to the campaign office. But that’s what prosecutors, defense attorneys and a judge may decide. Other unfinished stories include the future of the city’s streetcar system. D.C. Council Chairman Phil Mendelson eliminated a lot of the planned capital funds for the project, which has gotten off to a balky start at best. The only completed line, on H Street NE, has yet to accept passengers. The council passed several school reform measures, including an expenditure of $80 million in new funds to aid “at-risk” students and the strongest special education changes in decades. The measures were all the work of Education Committee chair David Catania. Their importance was somewhat subsumed in his unsuccessful campaign for mayor, but they will have lasting effects on public education. And finally, our list of top stories includes the council’s vote to move ahead with the $300 million soccer stadium project. Here again, though, funding for the city’s $150 million share is not clear-cut. And the team, D.C. United, has been losing money each year. The agreement has the team paying up to $150 million for the 20,000-seat stadium itself. But what if the wealthy owners start the project and then, somewhere down the road, ask for more city taxpayer support? What will D.C. officials do then? ■ Barry laid to rest. Former Mayor and Ward 8 Council member Marion Barry was buried Saturday at historic Congressional Cemetery on Capitol Hill. Barry himself had picked the site in his funeral directive. Barry is in the same row as FBI director J. Edgar Hoover. But other notables in the 35-acre cemetery are Civil War photographer Mathew Brady and composer and U.S. Marine Band director John Philip Sousa, among many others. ■ A final word. A.J. Cooper died this past week of a heart attack. He was only 34. Many readers may not know his name. But Jay was a policy director for the D.C. Campaign to Prevent Teen Pregnancy, and he was involved in all sorts of city issues. 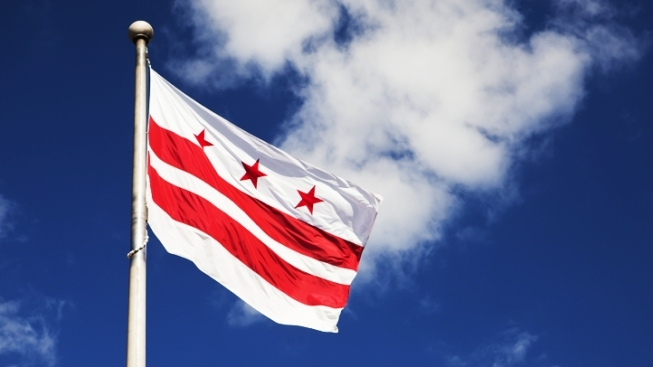 He had made one unsuccessful run for an at-large seat on the D.C. Council and just weeks ago had said he intended to run for the Ward 4 position being vacated by Mayor-elect Muriel Bowser. A native of Washington, Jay was a graduate of Roosevelt High and the University of Maryland. Jay’s funeral was Tuesday. His family, including his aunt Peggy Cooper Cafritz, is asking that any memorial contributions go to the teen pregnancy prevention program, at dccampaign.org.